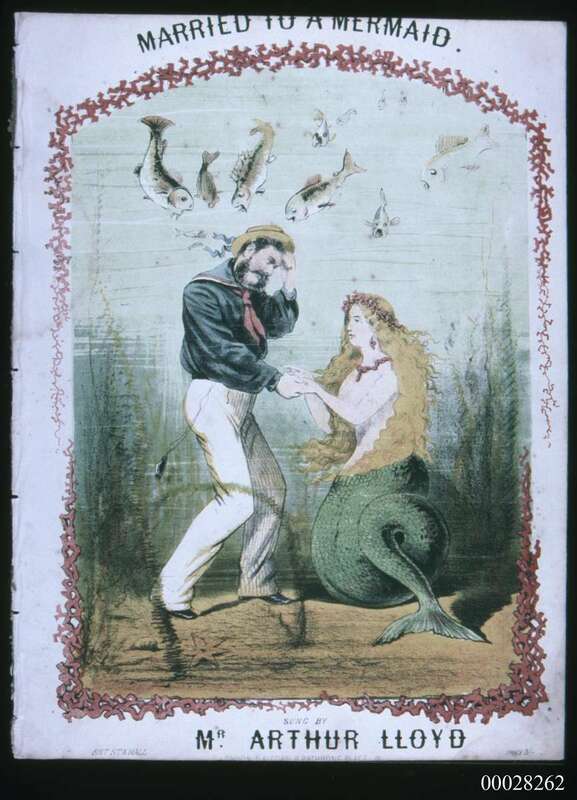 I was trawling through the museum’s collection of sheet music when Married to a Mermaid (about 1866) caught my eye. Initially, I was struck by the peculiarity of the image; a sailor is depicted holding hands with a mermaid on the seabed with what appears to be animated fish hovering above. A closer look at this item and other examples in the collection, however, reveals that these lyrical verses and colourful images also communicate cautionary tales and heroic deeds. Musical stories struck a chord with 18th and 19th century listeners, and added to commonly held romantic notions surrounding life at sea. The publication of music reached its peak in the 19th century as recital halls, theatre shows and parlour music became an integral part of social life in Britain, Australia and America. Sheet music publishers flourished and their product was sold cheaply and widely distributed. In this sense, sheet music represented an easily accessible form of entertainment and social interaction. Considering the cultural and social significance of sheet music, Married to a Mermaid ventures beyond a tale of unlikely romance. Contained within its pages appear the lyrics to the British patriotic song, Rule Britannia! Sung by Arthur Lloyd, a famous music hall performer and comedian, audiences would have instantly recognised this song. This particular version of it gained popularity in 1755 when it featured in Masque of Britannia, at a theatre in Drury Lane, London. At the heart of each piece, sheet music displays prevalent social and cultural motifs. With each stanza, life’s questions are parodied or sentimentalised in a compelling way. These tales form part of a range of maritime themed songs; a vibrant collection of narratives designed to illustrate messages of love, friendships, identity and heroism. See a ballad from the collection, regarding Grace’s noble actions here. 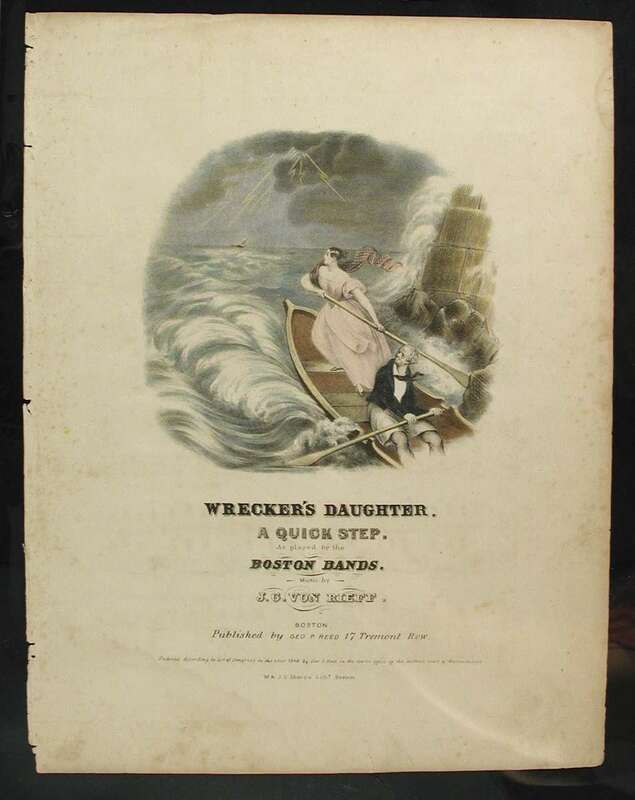 For other examples of sheet music in the museum’s collection click here.